Tuberculosis, also known as TB, or M. tuberculosis, is a disease that primarily affects the respiratory system, particularly the lungs. However, it can be found in other parts of the body. Acording to the Mayo Clinic, approximately two million people die each year from this disease.TB is a bacteria that is caused by an organism called Mycobacterium tuberculosis. The lifespan of tuberculosis droplets varies depending on certain conditions and the location of the Mycobacterium tuberculosis, and knowledge of this sometimes deadly disease is the key to prevention. Tuberculosis has been around for centuries, with evidence of this disease dating back as early as 7000 BC. Tuberculosis was commonly referred to as "consumption" since the disease seemed to consume the individuals infected. Some other names were white plague, wasting disease, phthisis, and Pott's disease, along with several other names throughout the years. This disease seems to have re-emerged in the United States, with over 18,000 people having active TB in 1998. Furthermore, the TB strains have evolved over the years and appear to be resistant to some of the antibiotics used for treatment, which can generally cure the disease if taken appropriately. Dr. Robert Koch discovered in 1884 that the tuberculosis bacteria could be spread through the air, and that sputum was the primary means of transporting this bacteria. Tuberculosis is generally spread from person to person when an active tuberculosis patient either coughs, sneezes, laughs, sings or speaks. A person then inhales the bacteria that is expelled forcefully from the lungs of an active TB patient. However, exposure does not necessarily mean you will become infected with tuberculosis. Unlike most bacteria, tuberculosis tends to grow very slowly. Primarily an airborne disease, TB can survive for extended periods of time in the air and on various surface areas. It was found that 28 percent of the tuberculosis bacteria remains alive in a room after nine hours. Tuberculosis can live up to 45 days on clothing, 70 days in carpet, 90 to 120 days in dust, approximately 105 days on a paper book, and approximately six to eight months in sputum. 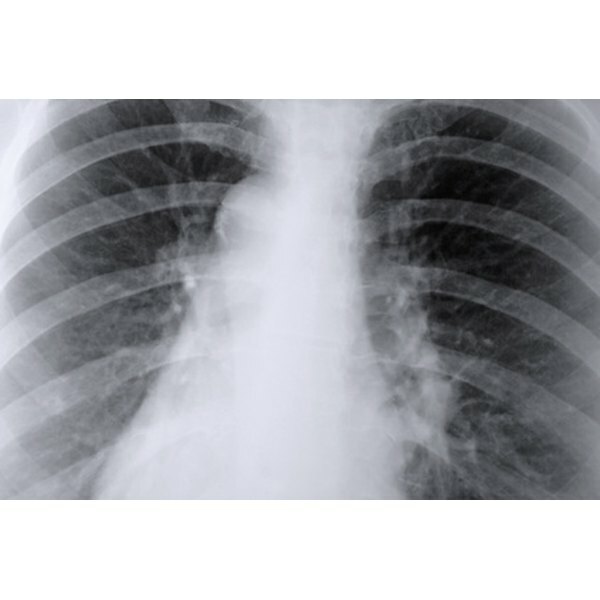 Three things help kill off the tuberculosis bacteria: ultraviolet light, volume of air in a room and recirculation of air through a HEPA filter. Latent TB, also known as inactive TB or TB infection, is when a person has been exposed to an active TB patient and inhaled the bacteria, but the bacteria remains inactive. TB infection is not contagious. However, approximately 10 percent of individuals with TB infection will later become an active TB patient. Active TB, however, is contagious and can spread to other individuals. Generally, this occurs through exposure over a prolonged period of time. Active TB can also spread to other parts of the body through the bloodstream. If you have been exposed to an active tuberculosis patient or an area that is contaminated, you should seek treatment immediately. Symptoms do not appear unless a patient has active TB. Fatigue, coughing up blood, fever, unexplained weight loss, coughing that lasts three or more weeks, loss of appetite and chest pain or pain with breathing or coughing are all symptoms of active tuberculosis. Some people are at a higher risk of contracting tuberculosis. A weak immune system, close contact with an active TB patient and areas with poor ventilation increase the risk of becoming sick with TB. In addition, ethnicity, age, substance abuse, living in a refugee camp or shelter, health care work, lack of medical care and international travel also increase the risk of suffering tuberculosis. The best way to prevent tuberculosis is to eat healthy, exercise regularly and get plenty of rest. Get tested regularly, and if the test shows up positive, follow the doctor's instructions completely, including finishing all of the medication. In addition, if you have active TB, cover your mouth when you cough, sneeze or laugh. Wearing a mask during this time is very helpful. Also, make sure that your living area has proper ventilation, stay home and sleep in a room by yourself. Kerri Miller is a very detail-oriented person who loves an opportunity to be creative. She has a lot of experience in writing of all sorts, both technical and non-technical. She has written poetry and had it published, and has more than eight years of experience in legal writing and book writing. What Is the Chain of Infection for Tuberculosis?